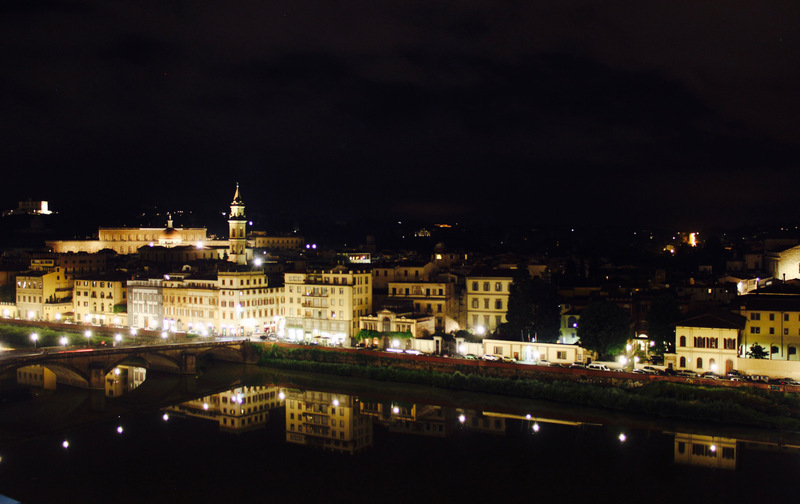 Dr. Kent-Willette and colleague Dr. Carole Barnett, Humanities professor, led a two-week sojourn through Italy early this summer, one of four such trips for credit through EL. The trips aren’t merely an opportunity for students to blow off steam, eat, drink and be merry; they are well planned and executed learning experiences that sometimes offer surprises such as the night in Rome when students witnessed history when the city elected its first female mayor. In fact, Kent-Willette said, with thousands of photos and hundreds of hours of video, several students asked to continue to work on more advanced projects this semester. Both professors believe in extensive preparation before undertaking the international studies. While the focus of each trip is related to in-class related material, preparation clearly includes a study of the culture of the country being visited, how to dress, how to approach people, even the learning of common phrases before departure. 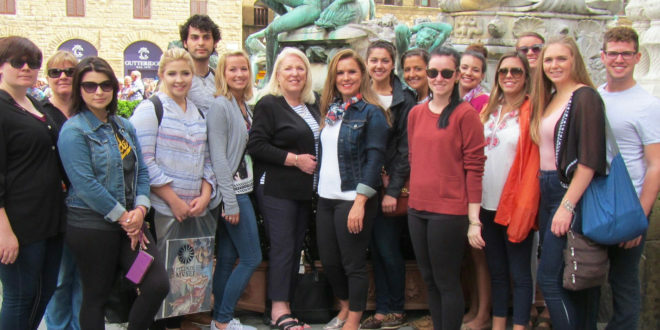 Senior Chloe Lyden, station manager for the Dolphin News Channel, was on the Italy trip and concurs with the professors. “Having the opportunity to study abroad has allowed me exposure to new cultures and gave me a new appreciation for my education and being open to new experiences,’’ she said. Later in the summer and about 2,000 miles north, Dr. Jeremy Stalker of the Marine Science Department and English professor Dr. Julie Brannon, were leading students through Iceland. Like those on the Italy trip, classroom related learning is combined with cultural learning. Stalker also headed a summer EL study abroad to the Bahamas with Dr. Lee Ann Clements (Associate Provost, Interim Dean, College of Arts and Sciences) where biology students applied what they have learned. A fourth EL summer trip had Davis College of Business students with Don Capener, Dean of DCOB, in Scotland. No matter where the travels lead, the lessons learned go beyond the scope of JU or the city.